Acupuncture is a form of alternative medicine and is just one component of what is commonly known as Traditional Chinese Medicine (TCM). The other components are Chinese herbs, Tuina medical massage, dietary therapy and Mind-Spirit practices such as meditation, Tai Qi and Qigong. Together, they are a complete medical system. In practical terms, Acupuncture involves the insertion of very fine, single use (disposable) sterile needles into specific points on the body. These are known as Acupuncture points, which can also be pressed (Acupressure points) for use in specific circumstances including pregnancy and labour. Acupuncture needles are left in for about 20 minutes. 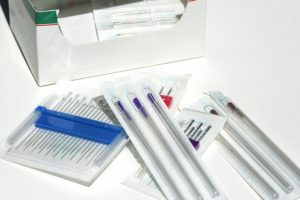 Other techniques are often used to assist Acupuncture treatment, such as the application of heat (by means of moxibustion), cupping therapy, and Tuina massage. 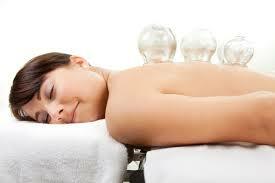 Recommendations on diet and lifestyle may also be offered to enhance the effect of acupuncture treatment. As a result of the growing body of scientific evidence demonstrating its effectiveness for a wide range of conditions, acupuncture is increasingly used in the west, not only by private practitioners of acupuncture but also within western medical environments such as hospitals. Summaries of the research for just some of those conditions have been compiled by the British Acupuncture Council (BAC). Different styles of Acupuncture are practised, depending on where a practitioner trained and their own preferences. The main traditions are Chinese, Japanese and Korean Acupuncture and within these broad categories there are many different approaches – often combined and hybridised – including body acupuncture, auricular (ear) acupuncture, abdominal acupuncture and hand acupuncture. As a result, patients may find that no two practitioners approach treatment entirely the same way. How on earth can Acupuncture treat all the conditions it is said to be able to treat? How does it work at all? To answer that, we first have to recognise what keeps our bodies and minds healthy in the first place. A healthy state of affairs is one in which the body’s homeostatic mechanism – complex signalling systems between cells in the brain, vital organs, endocrine system and all other cells throughout the body – are functioning well. These cells and signalling systems constantly monitor the internal and external environment for ‘threats’ in order to maintain a stable physiological and psychological environment. So, when we get sick or experience discomfort or pain, something has obviously gone wrong because of a break-down in signalling systems or some kind of trauma which has disrupted them. How Acupuncture works is by prompting the body to resolve these signalling problems and heal itself, as it should normally be able to do. The success of the treatment is dependent upon the careful selection of precisely the right acupuncture points on the body to needle, because each point has its own unique functions and capabilities and these have to be harnessed correctly. Does Acupuncture work for everything? No. By the very nature of some conditions, or the fact that they have been present in someone’s body so long, some will not respond at all to treatment. To put it another way, Acupuncture can only help the body to heal something that has the inherent capacity to heal, and so some conditions will be helped with Acupuncture while others won’t. That being said, there is a difference between ‘curing a chronic condition’ and helping its symptoms. For example, Rheumatoid Arthritis cannot be cured with acupuncture but it can certainly relieve painful joints, providing enhanced quality of life. Similarly, dementia cannot be cured by Acupuncture but research suggests that its symptoms can be improved. Depending on how favourably the above factors combine, the odds for treatment success will be excellent, good, fair or poor. This is a difficult question to answer because it depends on how the factors noted above combine. If your condition is treatable then a (very rough) rule of thumb is that conditions which started relatively recently can usually be resolved in less than six treatments. Something that has been a problem for several weeks, months or years will require more. However, there will be exceptions to these rules. Basically, like western medicine, Acupuncture needs to be delivered in a certain dose to be effective. So, in the same way that your GP may tell you to take an anti-biotic twice per day for 7 days, you may need to have 1-2 treatments each week for a couple of weeks in order to see results. Skipping treatments, or stopping after one, is not going to get the job done. So, for example, if your complaint is very severe neck pain that bothers you constantly and disturbs your sleep, you may need to be treated twice per week. Otherwise, you should expect to be treated once per week. Is Acupuncture suitable for everyone? Yes, broadly speaking, Acupuncture is suitable for anyone – children, adults, pregnant women, seniors – but the nature of treatment will vary according to your age and condition. Yes, Acupuncture is a safe form of treatment if performed by a conscientious practitioner, properly trained in Traditional Chinese Medicine, with a sound knowledge of human anatomy, who uses single use sterile disposable needles. Can I have acupuncture when I am taking medication prescribed by my doctor or using other therapies like physiotherapy? Yes, absolutely. However, it is important to stress that if your doctor has prescribed medication you should not stop taking it without discussing the implications and your progress with your GP.